Bread and cheese is a given at my family’s Christmas lunch. Here I’ve made my own take on this tradition with a gluten free crisp soda bread and a raw macadamia nut cheese with rosemary. The real hero in the cheese making is a food processor and nutritional yeast. 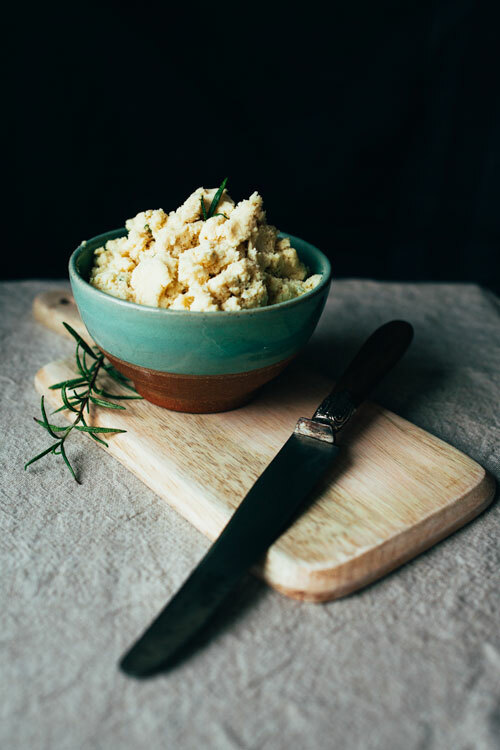 Nutritional yeast has become one of my favourite flavourings since choosing to be vegan, it really reminds me of cheese and if you haven’t tried making your own cheese spread yet this is the time! I have found it tricky baking tasty gluten free and vegan breads but this is one I really enjoy and it literally takes five minutes to throw together, then the oven does the rest. 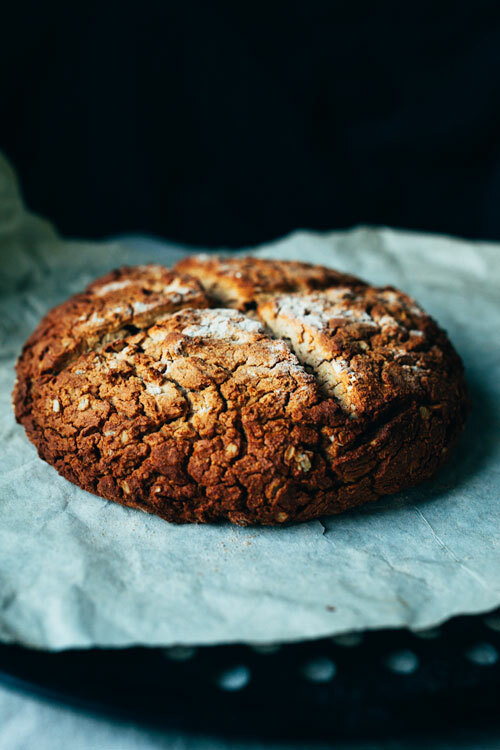 It has a very crisp outside, probably more so than the original soda bread, but I enjoy a crunchy crust. This bread is meant to be quite dense so this is something you have to expect but it should rise a little from the baking soda. Let’s talk about the macadamia cheese. I’m sure many of you have tried nut cheeses before and this is the lazy version. You could add probiotics and culture the cheese for 24 hours if you wish, there are lots of links on the internet for how to do this, but I prefer making an easy flavourful cheese spread. 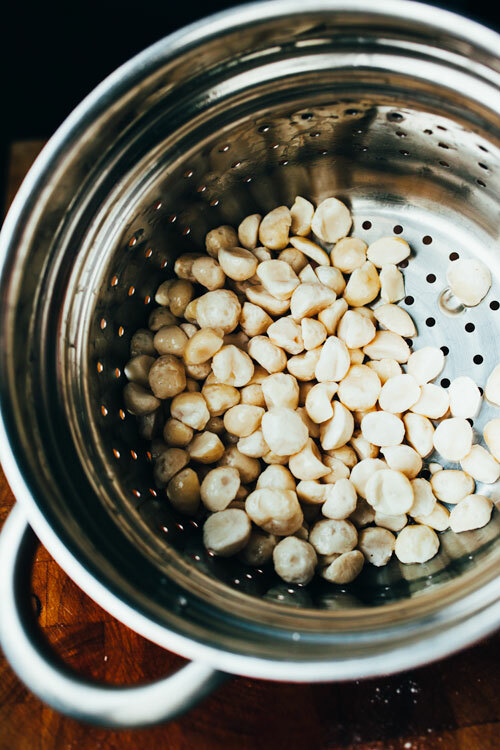 This is easier as you simply soak the nuts and then add them to your food processor with some liquid and whatever flavourings you prefer and process until smooth. 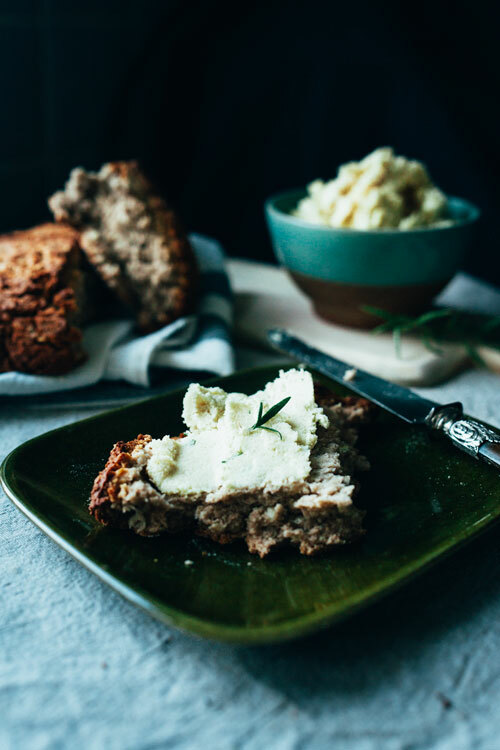 For this recipe I’ve chosen Rosemary for the flavouring on top of the cheesy nutritional yeast and the addition of garlic and lemon. These types of nut cheeses and cheesy spreads are completely raw leaving all enzymes intact to aid in your digestion. And because the nuts are soaked some of the phytic acid they contain will be removed making the nutrition they contain easier to absorb. Two great reasons for making your own cheesy nut spreads! Preheat oven to 180 degrees celsius and place a baking sheet dusted with flour on a baking tray. Place almond milk in a bowl and mix with lemon juice, set aside. Mix the first 5 dry ingredients in a mixing bowl. Move the dry mixture to the sides of the bowl and pour maple syrup, milk mixture and soya yoghurt in the middle. Mix until combined to a somewhat sticky ball. Place ball on prepared baking sheet and cut a cross in the bread (see photo below). Bake in oven for up to 1 hour – it is ready when there’s a hollow sound when tapping the bottom and the top is golden. Check after 45 min and if the top is looking ready but it is not sounding hollow then flip the bread over and keep baking until the hollow sound appears. When freshly out of the oven brush the bread with coconut oil to soften the hard crust of the bread a little and then leave to cool off a few minutes. 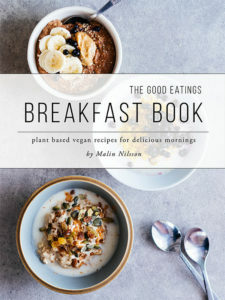 This sounds amazing Malin! Love the recipe and the photos! drool is too small of a word, malin.